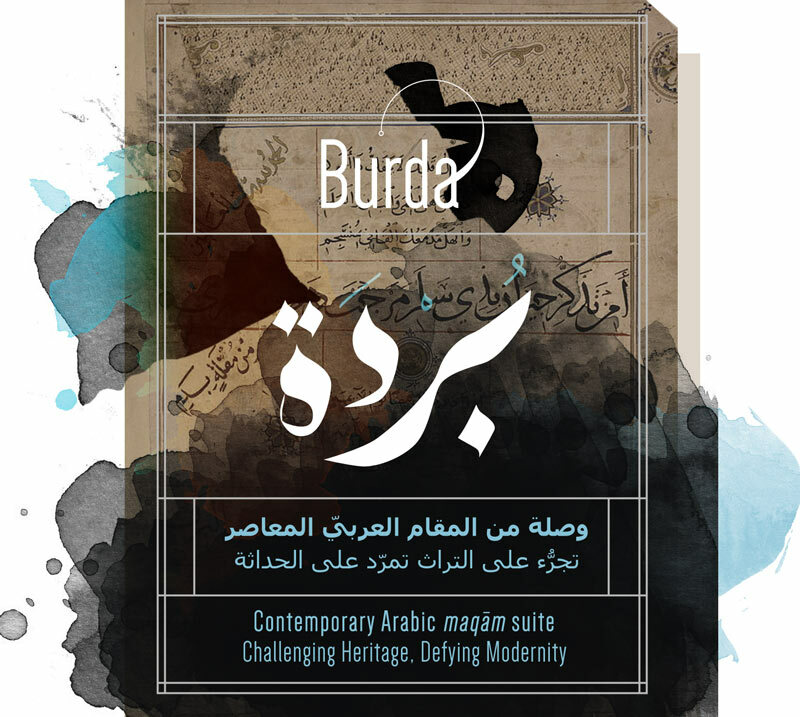 The story of «Al-Burda» goes back to the 7th century and tells about when the Prophet offered poet Ka‘b Bin Zuhayr his mantle (burda). 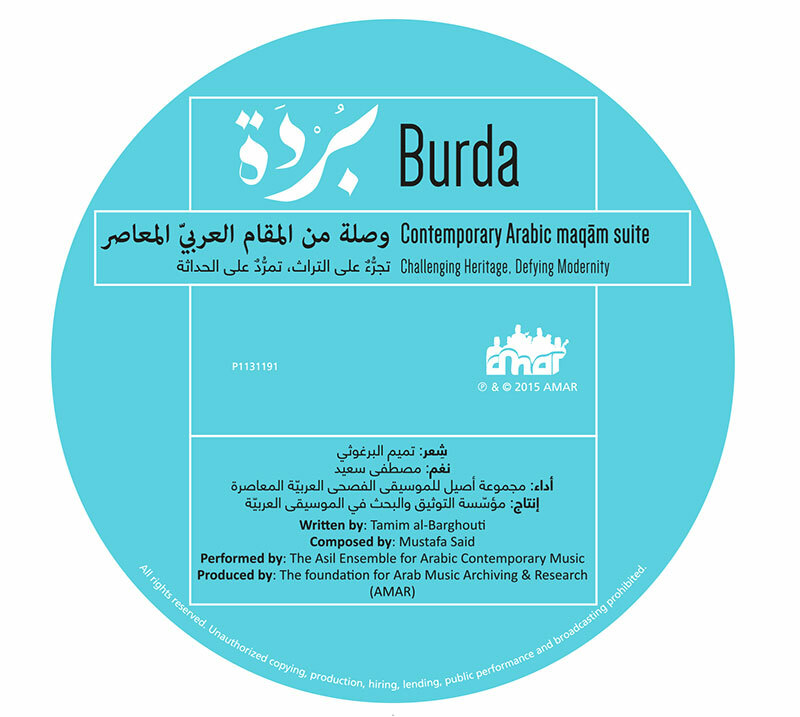 This ḥadīth first inspired Imam Al-Būṣīrī in the 13th century to write his own «Burda»; then in the 19th century, Aḥmad Shawqī wrote «Nahj al-burda». 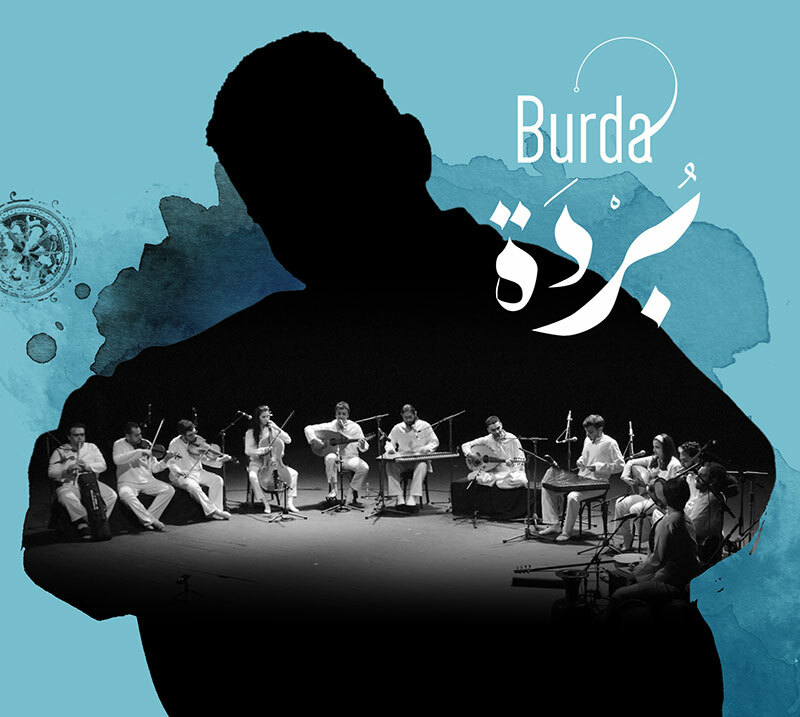 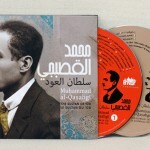 Finally, today, poet Tamim al-Barghouti wrote his modern «Burda» out of which Mustafa Said took a number of verses and composed a Music work for them. 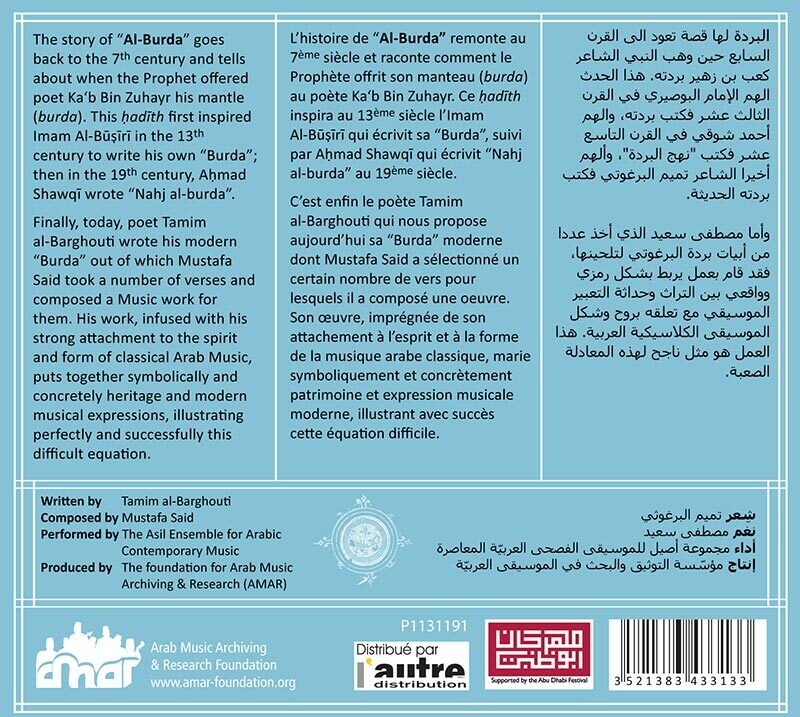 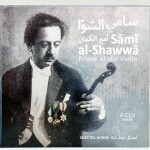 His work, infused with his strong attachment to the spirit and form of classical Arab Music, puts together symbolically and concretely heritage and modern musical expressions, illustrating perfectly and successfully this difficult equation.